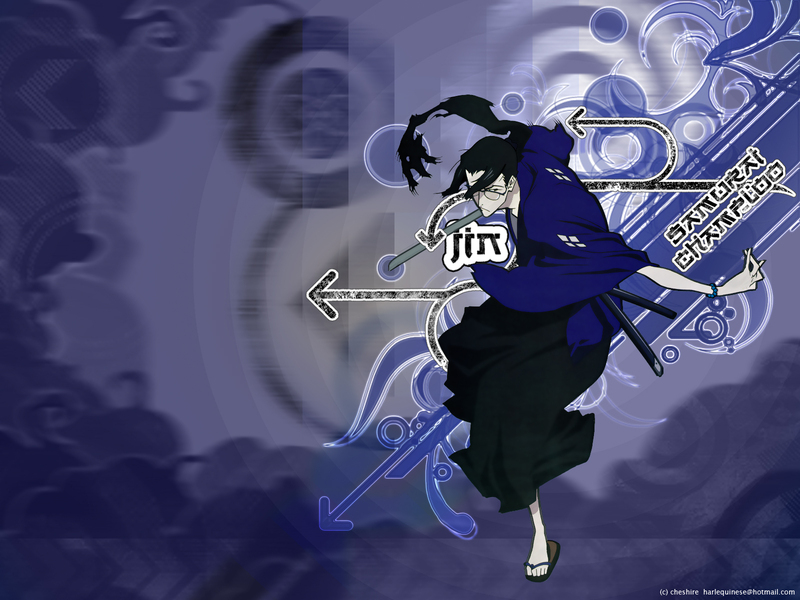 i love me some samurai champloo and you all should too. if you dont, that means the terrorists win. anyway, about 17 hours of work and an ungodly number of re-vamps i finally got it just how i want it. i was trying to go for a graffiti sort of feel while also sort of an ukyo-e sort of feel. two styles of art that i am very fond of. i hope you all enjoy it. i put forth my maximum effort in this one. EDIT: yes i know he's floating. it's supposed to be like graffiti. Really cool wallpaper of Jin - love the background!